Click the country to go to their entry's page. Estonia - Tanja is Amazing, digital release update, Estonian Voices cover. Spain - 10th place Ruth Lorenzo Dancing In The Rain, CDsingle out April 29. Belated German chart hit, Cahill remixes. Album Planeta Azul finally out in November. Malta - Firelight is Coming Home. Backdrop Of Life album out now. Sweden - 3rd place 7th time lucky for Sanna Nielsen. Undo my grammar, remixes, Album "7" with new acoustic version. Azerbaijan - Arson!, Dilara Kazimova starts a fire, Azerbaijani version, Remix EP, Turkish version. Iceland Pollapönk and the technicolour t-t-t-racksuits, No Prejudice out now! Ooops. Euro Club Mix by Oggi, more versions. Slovenia - Finally Flutewoman Tinkara! Versions updated, digital release 9 versions. Germany - Elaiza band wins ticket to CPH, early LP release, cdsingle. Dance cover. Armenia - 4th place Aram MP3, digital single, remix update. Actually alone on stage. Rainmaker, Jessica Mauboy and other bits. 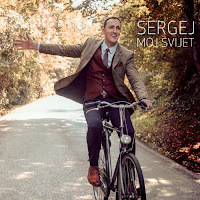 Norway - 8th place Carl Espen wins MGP, order CDsingle, updates. Remix. Lithuania - Attention! - Vilija Matačiūnaitė, album out now! Out Now! The 2014 Copenhagen Handbook / ESCzine. There you have it, the Copenhagen Collection's pages are counted. 37, one for each country (and a few extra). Bringing you all the details on the releases and versions of the 2014 Eurovision songs and stars. You'll find all official releases, (physical and digital), promo info (as much as possible) and the odd coverversion, chart position and important trivia. Thanks! to all who have sent their info, corrections and scans. Couldn't have done it without you. Special thanks to Jean-François for monitoring the digital releases and more. If you have anything to add or correct, please leave a comment* or send an e-mail to the CPH Collection. Your help is much appreciated. * Please note, to prevent spam comments are moderated, so it may take some time before your comment shows up. 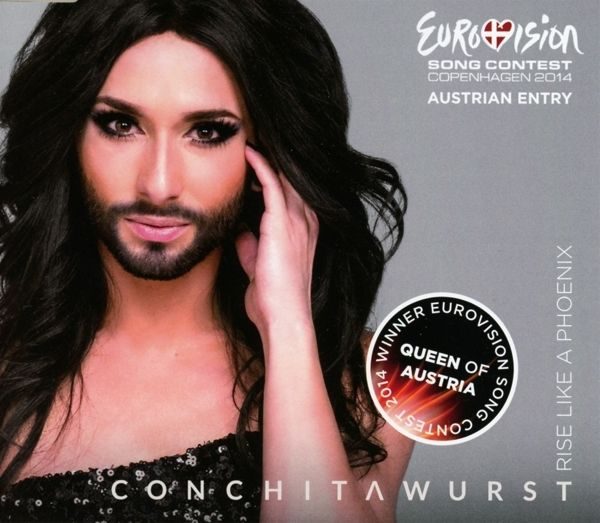 It's been a while, almost 50 years, but Austria clocked up their 2nd Eurovision victory with the much talked about song Rise Like A Phoenix by the even more talked about Conchita Wurst. The music for Rise Like A Phoenix is recorded by the Hungarian Symphony Orchestra of Budapest. A promo cds is issued including the Eurovision version and instrumental, an official cdsingle is in the shops* since the week after the contest. * In Germany, Austria and Switzerland. In June a remix of Rise Like A Phoenix surfaced on a DJ only CD released by DMC. 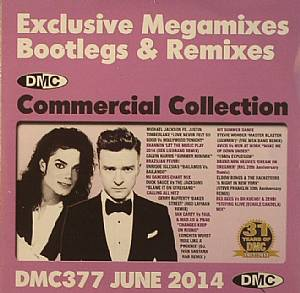 The 2CD DMC Commercial Collection 377: June 2014 features the DJ Ivan Santana R N B remix. More remixes can be found, but so far this seems to be the only one getting a release of some sorts. DMC albums are DJ only, but deep in our hearts we're all DJ's and you can find the album for sale at Juno and other webshops. 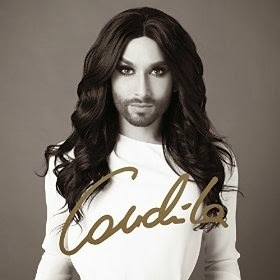 On May 15 2015 Conchita Wurst finally releases her debut album. Initial tracklists (iTunes!) did not include Rise Like A Phoenix but it seems that it will be on the CD after all. The album also includes follow up singles Heroes and You Are Unstoppable. There will be a regular CD release and a limited edition digipack issue. And of course the album will be available through your favorite digital stores. The digital release features two bonus tracks. October 2018 sees the release of the album From Vienna With Love, 12 tracks recorded with the Vienna Symphony Orchestra. The album includes a new version of Rise Like A Phoenix as well as evergreens like The Sound Of Music, All By Myself and The Way We Were. Rise Like A Phoenix enters the Austrian top 75 at 51 (April 4) but falls out the following week. Conchita re-enters the charts at #35 (published on May 16)* and goes to #1 after the victory (charts published 23-5). - The official charts in Sweden have gone crap, with mainly Spotify as source. 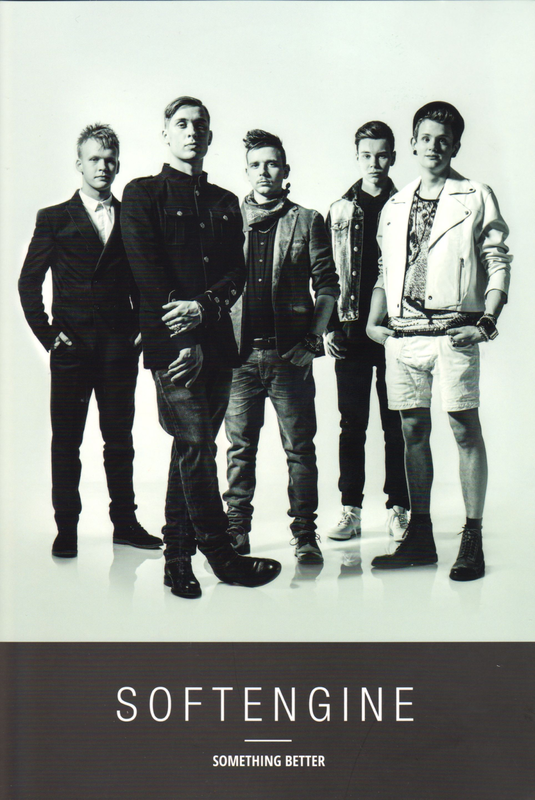 The Digilistan is now the main sales based Swedish chart. The singer already participated in the Austrian selection for the 2012 contest. The song That's What I Am ended up in the 2-song superfinal but lost out 49/51 to Trackshittaz Woki Mit Deim Popo. Conchita's career took off in 2006 after a second place in talent show Starmania, finishing behind Nadine Beiler. Debut single Unbreakable was a # 32 hit in the Austrian charts in 2011. NF song That's What I Am did even better reaching #12. Charlie Mason already gave us L 'Amore È Femmina, the Italian 2012 entry by Nina Zilli. Ali Zuckovski co-wrote and produced Hurt Lovers, the follow up single from Blue after their Eurovision hit I Can. He also wrote for MarieMarie and Betty Dittrich, both German National Final stars. Julian Maas is a composer of musical scores for TV and film including several episodes of Tatort. The yearly Kiddy Contest doesn't let us down. The Kiddy Contest vol 20 features a German language version of Phoenix titled Traume Sind Kino performed by Estelle Lath. (Sony 88843048942). There's talent shows in Italy too, and Laura Fantauzzo performed RLAP at Giovani Talenti. compilation called Orquesta Television: Orquestas De Galicia. 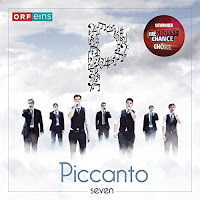 Acapella septet Piccanto recorded a coverversion of I Am Yours for their album Seven. (Ariola). The CD also includes a coverversion of Rise Like A Phoenix. 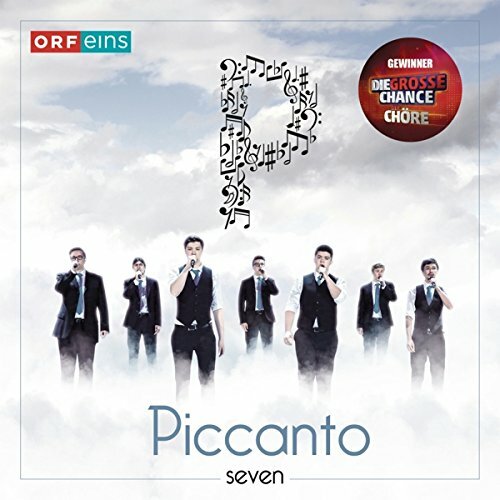 Piccanto are the winners of the Choir version of Die Grosse Chance, a talent show from Austrian TV. After a hesitant start, the victory propelled Rise Like A Phoenix to #1 of the Austrian charts. Udo Jürgens' 1966 winner only made it to #2. 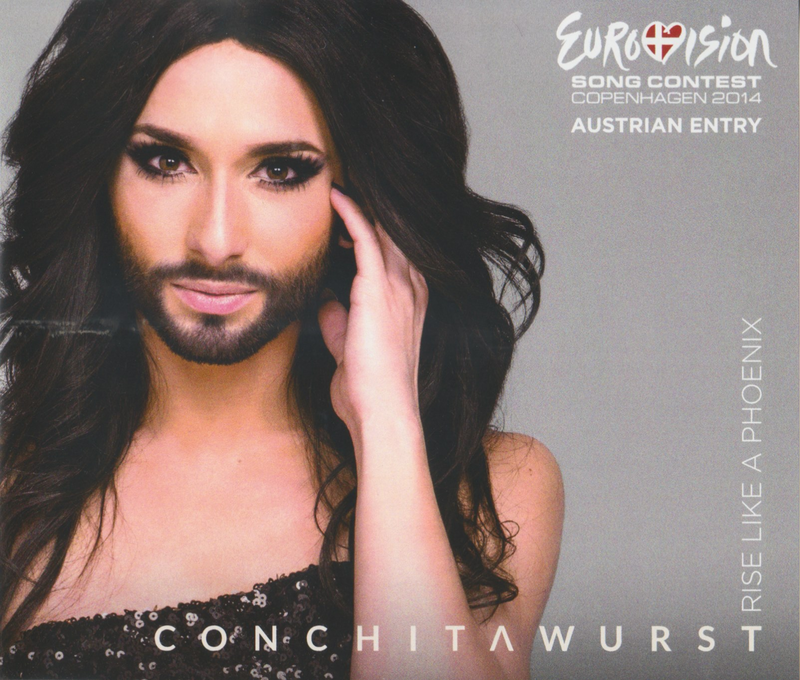 Conchita's is the 5th Eurovision entry to go #1 in Austria. Austrian charts from Februari 1965, so we don't know the results of the very early entries. There also was no chart in 1972 so we don't know about the sales of 1972 entry Falter Im Wind. The other entries not in this list did not chart. Charts range from a top monthly 10 in the 60's to the weekly top 75 that is published since 2001. You can find all Austrian charts here at the charts portal. Natália Kelly didn't make it to the final in 2013 with her song Shine and neither did the Trackshittaz in 2012 with their booty shaking Mühlviertel Rapfest Woki Mit Deim Popo. A little more succes for Nadine Beiler. With her ballad The Secret Is Love Austria returned to Eurovision after a three year absence. She made it to the final and ended 18th. Beiler was the only one to make it to the Eurovision final from a semi for Austria, until Conchita came along of course. Thanks to Jean-François and to René at Genie & Wahnsinn. Sergej Ćetković was the 6th Eurovision entrant for Montenegro as an independant country. 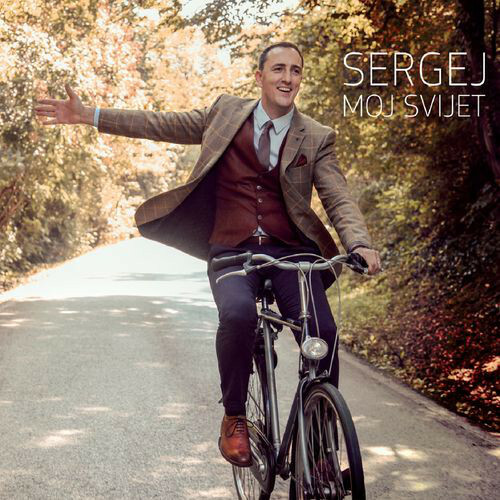 The song Moj Svijet (My world) was premiered on March 9. The song is also recorded in English as My Love. A promo cd includes three versions (see below) and videoclips. - also on the official Copenhagen CD. Fraser Fifield is a Scottish multi instrumentalist who plays most of the instruments on the song. In the instrumental version the vocal parts are performed by Fifield on the flute whereas the karaoke version is basically the original recording without any vocals. 10 years ago Sergej Ćetković already had a go at Eurovision. He ended 8th in the national final of Serbia-Montenegro with the song Ne Mogu Da Ti Oprostim (I can't forgive you). In 2013 Nina Žižić joined rappers Who See for a steaming version of their Igranka, but the song ended 12th in the semi. Rambo Amadeus (2012) didn't make it either. His Euro-Neuro still managed to collect 20 poing in the semi though. 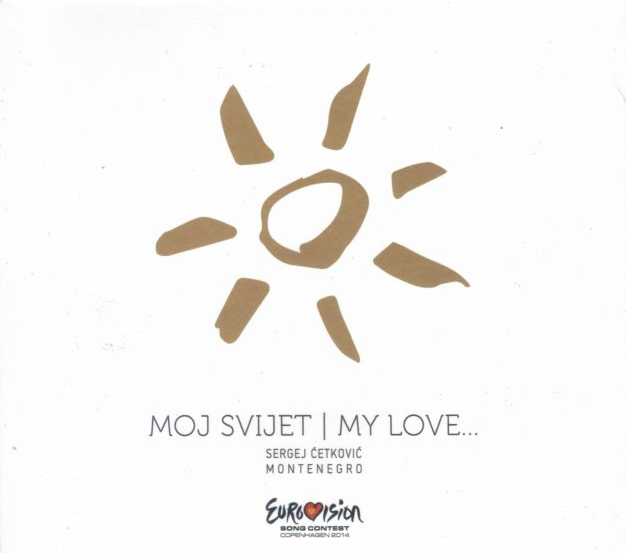 Montenegro's 2009 entry was Just Get Out Of My Life by Andrea Demirovic penned by Ralph Siegel. The entry also got stuck in the semi, but it gave us a fabulous Moscow Club Mix with Dschinghis Khan samples. 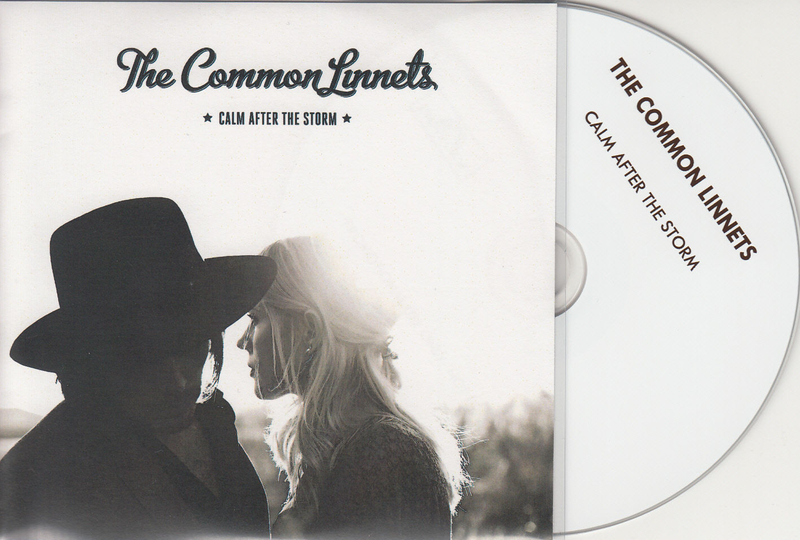 The Netherlands were represented in Copenhagen by The Common Linnets. The Common Linnets are Ilse DeLange and Waylon, both established solo artists in their home country. Calm After The Storm won the first semi-final held on Tuesday May 6. The 2nd place in the final is the best result for the Netherlands since the 1975 victory by Teach In in Stockholm, 39 years ago. The duo, who know each other since childhood, had been working on a country roots album together for some time and the Eurovision entry is one of the albums tracks. The song title Calm After The Storm was announced on March 4. The first song intruduction was on March 12, the Eurovision version was premiered on March 13. Calm After The Storm is written by Ilse DeLange, JB Meijers, Rob Crosby, Matthew Crosby and Jake Etheridge. 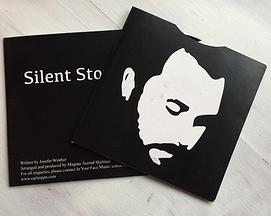 Calm After The Storm was released digitally on March 14, a 1-track cd single a week later (Universal 0602537788972). A promo edition includes the same track and an added disc (cd-rom) with info, photos and other press material. 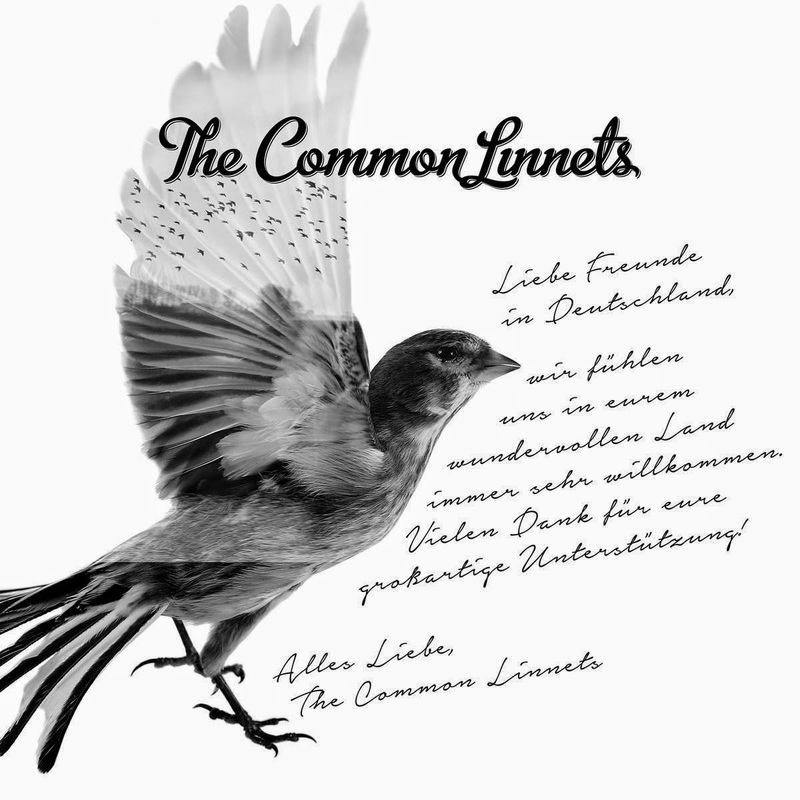 A 2-track cdsingle is expected in Europe on May 30, it includes Hungry Hands from the Common Linnets album as track 2. (Universal 0602537888559). A 1 track promo (cd-r) was issued in the U.K. by Polydor. A week later the album was also released on LP. The digital release is out in most territories but not in the USA. CD release is May 26 for other European countries. The album has 13 tracks, Calm After The Storm features in a longer version with a different intro. See below for full tracklist. 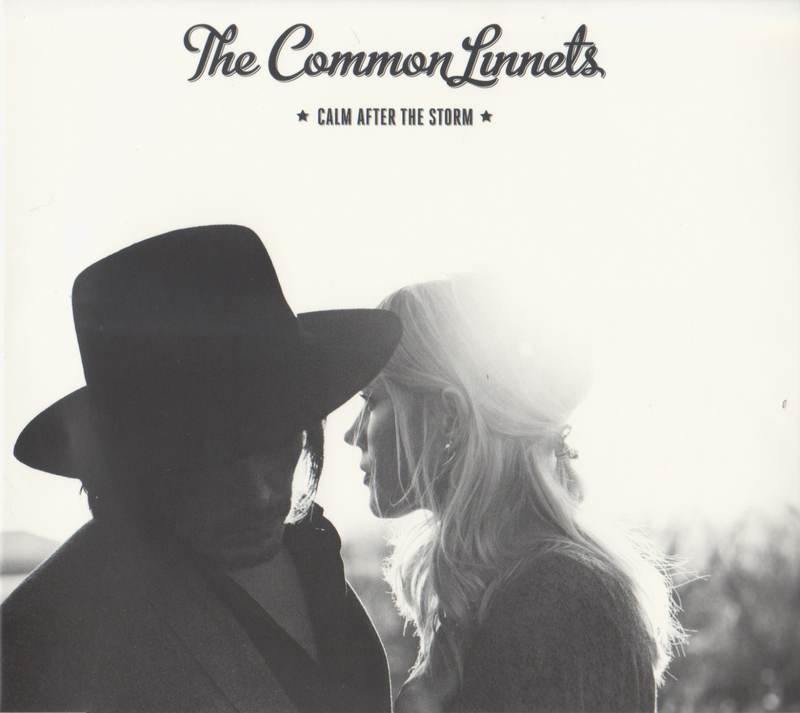 The Common Linnets album reaches platinum in the Netherlands within a week (50.000 copies sold). A new digital EP is released on November 14. 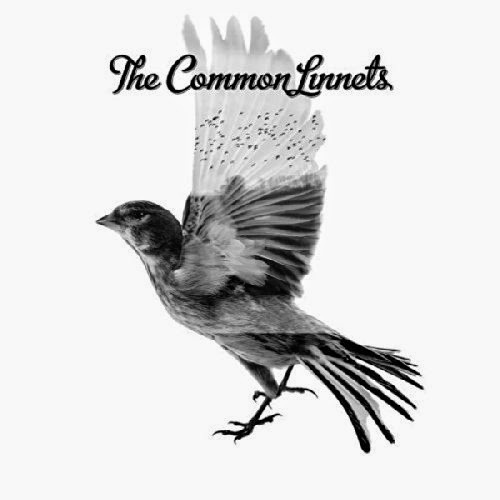 It features five acoustic versions of tracks of the Common Linnets album plus a Christmas song Christmas Around Me. One of the Acoustic tracks is Calm After The Storm, this time recorded without Waylon. 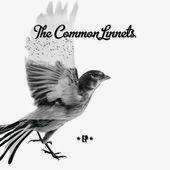 The EP will also be included with a physical re-release of the Common Linnets album. In Germany this comes in a special sleeve with a dedication to the fans (see pic). 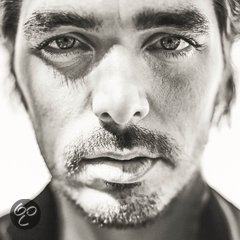 The Linnets enter the Dutch singles charts at #1, reportedly the day after release they outsold the # 2 by twenty times. In the week of the Eurovision semi the song exploded on the international iTunes charts and in the Dutch top 100 the song went back to #1 (from 49) in its 8th week on charts. In the Flemish charts CATS enters at #1, the first Dutch entry to reach the top spot in any Belgian chart ever. * The official charts in Sweden have gone crap, with mainly Spotify as source. The Digilistan is now the main sales based Swedish chart. CATS also charts in various lists in Estonia, Latvia, Lithania, Malta, Greece, Cyprus, Luxembourg, Iceland, Slovenia, Poland and Slovakia. In july CATS charts in the iTunes charts of Malaysia, Indonesia, the Philippines, Thailand, Sri Lanka, Vietnam and Macau. Ilse DeLange has enjoyed chart success with 13 albums, seven going #1 in the Dutch charts. Her debut album World Of Hurt (1998) sold five times platinum in the Netherlands and also charted in Belgium (17/30). Her second album Dear John is a live album dedicated to the songs of John Hiatt. 10 years after her debut another album reached the 5x platinum status: Incredible was a #1 1 and spent 97 weeks on the Dutch charts. All Ilse de Lange albums went top 5 in the NL album charts. 8 reached the Belgian (Flemish) top 100. Her most recent album is a greatest hits collection After The Hurricane - Greatest Hits and More, released in November (of 2013). She scored 23 chart hits since 1998 including #1 So Incredible from 2008. In 2005 Ilse recorded Blue (co-written by u2's Bono) with Zucchero and the single was a #10 hit. Waylon (Willem Bijkerk) has enjoyed six chart hits and two top 10 albums. He released two solo albums as Waylon Young, but got his big break after finishing second in Holland Got Talent. Eurovision anoraks may know him from his Dutch National Final attempt in 2005. With Rachel (Kramer) he sang Leven Als Een Beest (Living like an animal) but the song stranded in the semi rounds. Waylons most succesful album is Wicked Ways from 2009. Released on Motown (no less), the album reached #3 and spent 80 weeks on the Dutch album top 100. It also includes the single Wicked Way, his biggest chart hit (8/10). In 2012 Waylon had a duet, You Are, on Lionel Ritchies country music project Tuskegee. 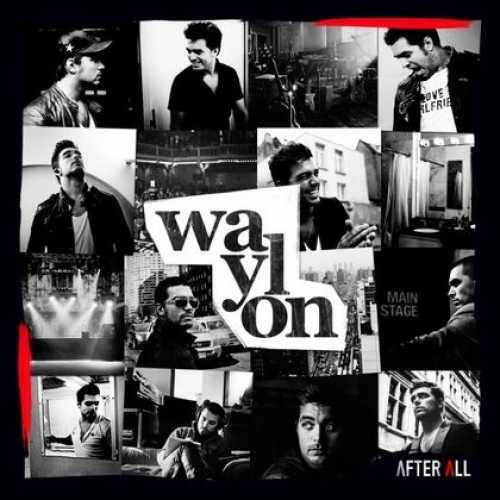 Waylons most recent album is After All from 2011, his new solo album Heaven After Midnight is postponed to September. The whole country rejoiced when Anouk took her Birds to the Eurovision final after 8 years of missing out. Joan Franka (2012), 3JS (2011) and Sieneke and her organ (2010) all scored a #1 hit at home but failed to impress Europe. The Toppers got the coveted closing slot in their semi in Moscow, but ended with only 11 points, of which 10 came from the Albanian jury. Lisa Del Bo, Belgiums 1996 Eurovision singer has recorded a Dutch/Flemish version of CATS. 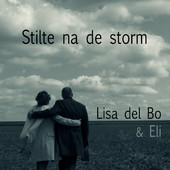 It's titled Stilte Na De Storm and it is released as her new single (itunes). The Waylon bits are sung by Lisa's son Eli. Watch the video here at CNR's Youtube. 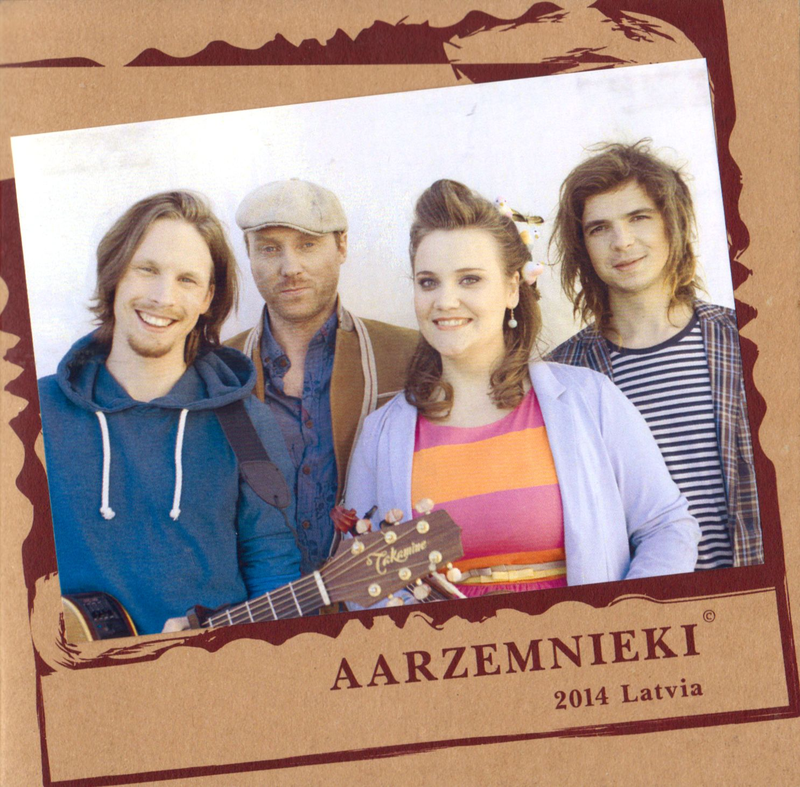 A version in Gronings (A Dutch regional language) is recorded by the band Zuver Scheerwol. In Finland Calm After The Storm becomes Myrskyn Jälkeen Kirkastuu and it was recorded by Tommi Soidinmäki ja Saija Tuupanen who released it as a digital single in September (Listen here at Magnum music). Andreas from dansband Sannex and Erica from Drifters. It is released on the Drifters CD Blå blå Känslor (Neptun records, out November 5). Neither Drifters or Sannex are strangers to the occasional Eurocover. Drifters recorded The Dutch and Danish entries of 2010, Sannex recorded Lyssna Till Ditt Hjärta, Swedens 2001 entry. Another coverversion (in English) is by juniors Polle and Myrthe. Watch, listen and find out more here at Eurocovers. U.K. New Age composer and spiritual musician Asher Quinn a.k.a. Asha also recorded a version of Calm After The Storm for his album Sun, Sorrow, Flowers, Moon. out on Novermber 1. Gab Veläzquez is a dutch DJ who has a stab at creating a clubby version of CATS. 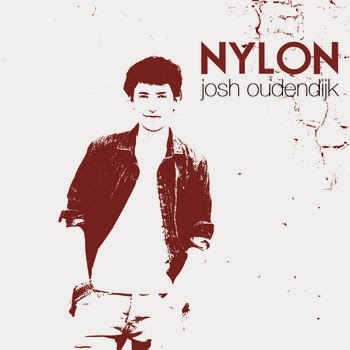 An acoustic version with guitar only is released by Josh Oudendijk. You can find his CATS on his album Nylon. It's available (even on CD) through Bandcamp. Josh Oudendijk website and FB. 2015: Acoustic guitar outfit Urban Beach from Germany release a live version of CATS on their CD Urban Vibes-Live in Hamburg. Urban Beach are Farhad Heet and Martin Röttger. Portugal returned to Eurovision after skipping the Malmö edition due to limited cash. The winner of the Festival da Canção 2014 is Quero Ser Tua (Como A Lua É Do Luar) (I want to be yours as long as the moon provides the light) by Suzy (Susana Guerra). The song is written by Emanuel. Listen and watch the semi performance here at RTP's Youtube channel. The song has been released through Amazon, iTunes and other digital sources. Suzy was planning on recording Spanish, French and Russian versions of her song. Sheasked for the help from the fans to write the lyrics. - on the official Copenhagen 2CD. With a simple name like Suzy Google is not your friend. But I managed to find a few things on the Portuguese singer. As a kid she was a member of Onda Choc*, a kids group with ever changing membership. In 1999 she has some success with Christmas single Nesta Noite Branca (This white night) with the popular portugese band Os Anjos*. We've seen several girls and boys dress up as stewardesses in Eurovision history, but Suzy worked as a real air hostess for Emirates Airlines, !. * Onda Choc recorded coverversion of Eurovision evergreens Non Ho L'Eta (Italy 1964) and Hallelujah (Israel 1979) for their 1992 CD Não Tenho Idade Para Amar-te. Eurocovers fans know Os Anjos from their successful coverversion of the Spanish 1966 entry Yo Soy Aquel. Half of the past four entries made it to the final. In 2009 Flor De Lis ended 15th and a year later Filipa Azevedo made it to 18. Portugals answer to the Village People, Homens Da Luta and their shouty protest (or was it comedy?) song A Luta é Alegria failed and so did Filipa Sousa's Vida Minha. 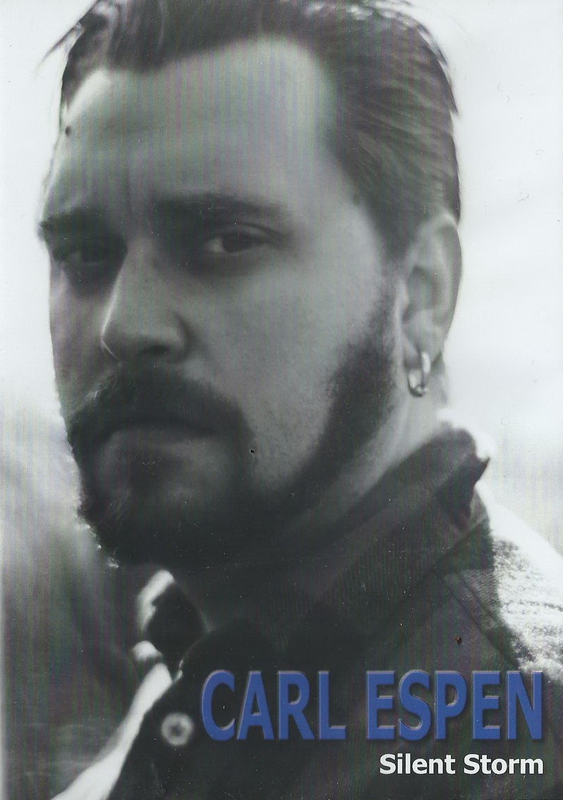 The Norwegian selection Melodi Grand Prix was won by Carl Espen (Carl Espen Thorbjørnsen) and his song Silent Storm. The song is written by Josefin Winther, who is Carls cousin. The song has been released through your usual digital sources (Sony Music Norway). Listen to the song here at Sony's Youtube. 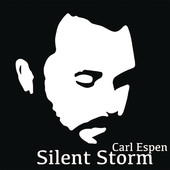 On Carl Espens website a cdsingle is available. It's a 1 track and the man is named Carl E on the sleeve. You can find it in the Merch section on Carls website where you can also shop for a hoody and a t-shirt with the black and white image also on the cdsleeve and digital release images. The promotional issue is the usual NRK Electronic Press Kit (EPK), one disc in a DVD case. 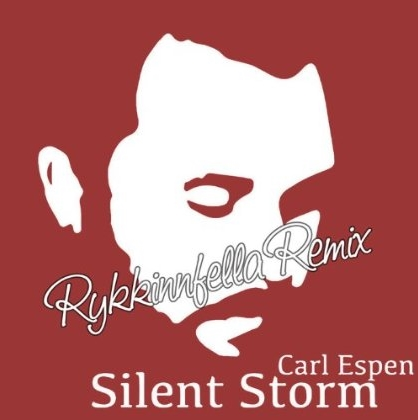 On May 9 a remix of Silent Storm is released. It's the Rykinnfella remix by Alexander Austheim and Jean-François spotted it first on Amazon. It's also on Spotify. Last year DA works records came to the rescue when no CD was going to be released, but this year it's no such luck. The 15 songs from the Norwegian Melodi Grand Prix are only released digitally (and separately). Alexander Rybak's Fairytale won the contest in Moscow breaking all kind of records in the process. Home entry My Heart Is Yours by Didrik Solli-Tangen didn't fair as well, ending only 20th. Even worse for Stella Mwangi in 2011, her Haba Haba didn't even make it to the final. Tooji's Stay made it to the final but ended last. Remarkable fact is that Stay was co-written by Peter 'Bassflow' Boström, who won the same contest by co-writing Loreen's Euphoria. In 2013 Norway were back on track. The majestic I Feed You My Love by Margaret Berger ended at no. 4 in the Malmö final. Moldova was represented in Copenhagen by Cristina Scarlat. 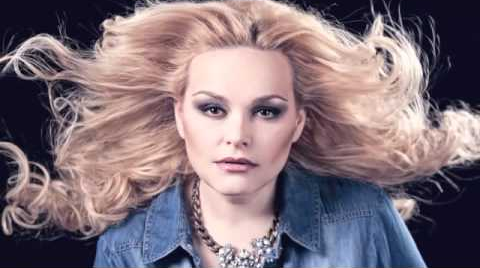 Her song Wild Soul won the final of O Melodie Pentru Europa 2014. The song is written by Ivan Akulov and Lidia Scarlat. You can watch the official video here at Cristina's Youtube channel. An early 1-track promo is issued, it was used at the Amsterdam Eurovision In Concert event. The promo cds used in Copenhagen has Wild Soul in the version as performed at the contest. It also includes 4 other songs by Cristine Scarlat. The sleeve also mentions video and other content, but it is not included. 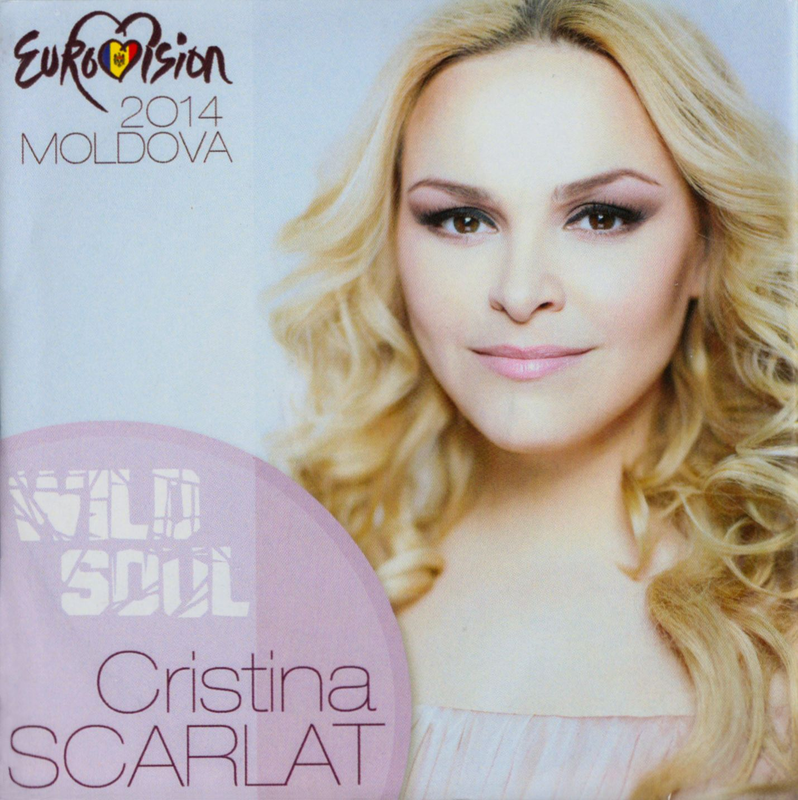 In 2013 Cristina Scarlat participated in the Moldovan national final. She ended 3rd with the song I Pray by the same songwriters as for Wild Soul. Ever since everybody's favorite grandma Boonika stormed onto the Eurovision stage in 2005, Moldova have only missed the final once. But until now they never repeated the success of that brilliant first entry. Pasha Parfeny (2012) and his protegée Aliona Moon (2013) both made it to 11th place. Zdob Şi Zdub weren't So Lucky to better their 2005 result in 2011. Sunstroke Project ft. Olia Tira (2010) gave us the immortal Epic Sax Guy but only got to no. 22. In 2009 Hora Din Moldova by Nelly Ciobanu ended 14th.